Slim Emerald Band at Reliable Gold in Providence, RI Reliable Gold Ltd.
Dainty with a punch! 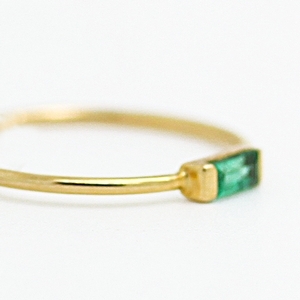 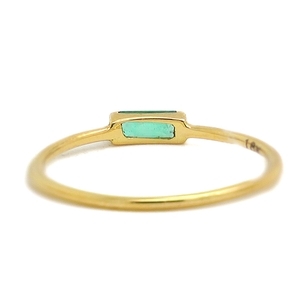 This gorgeous little ring features an emerald baguette, approximately .80 carats, mounted east-west in a thin 14K yellow gold band. 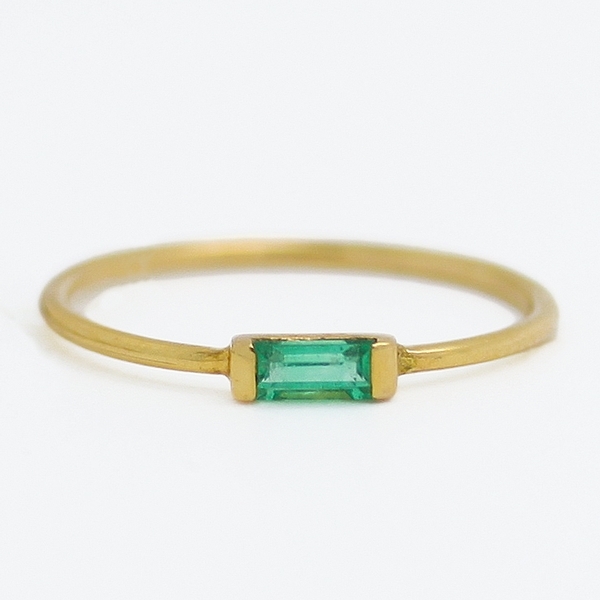 Perfect for stacking or on its own.